This is an ancient craft project I finished back in August 2009, but which I had to repaint now in 2016, I’ll let you know why further down. The portrait is of a dog my sister got a long time ago from a friend who couldn’t take care of him. Sadly the dog passed away a few years ago, it was because of old age but still difficult for her. When I first painted this in 2009 I had just seen a few painted feathers and was intrigued and wanted to try it out myself. I tried to find information about painting on a feather but back then not much turned up on the search. I did learn a few things as I painted. The surface is surprisingly more sturdy than I first imagined. 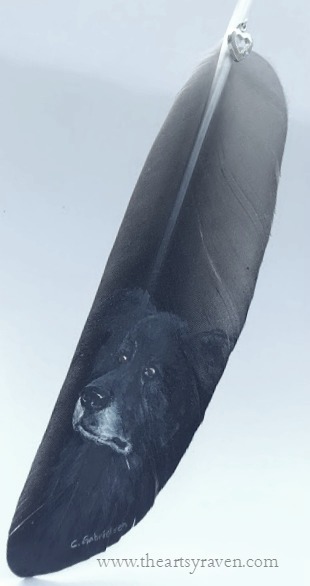 I couldn’t be rough and push my brush into the feather, but it didn’t move that much, and neither did it “unzip” as I first imagined it would at every brush stroke. 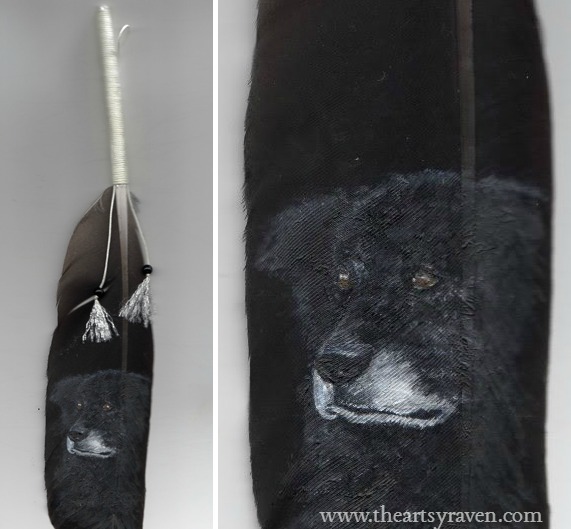 My sister loved the dog, and she loved the feather painting as well. Sadly there was an accident and the original feather is missing half of the portrait. There was a prison break in her house and her chinchillas managed to find a way to the feather and started eating it. 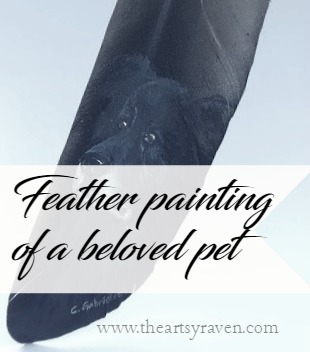 I don’t know how the chinchilla was afterwards but I can’t imagine feather and acrylic paint being good for it. This is a few years ago and she has asked if I could paint another one, which I have (it just took me this long thanks to work). She hasn’t received it yet as I’m taking it with me when I visit her this summer, but I’m sure she will love it just as much as the first one, and this time she will find a frame for the portrait so there will be no more accidental munching. 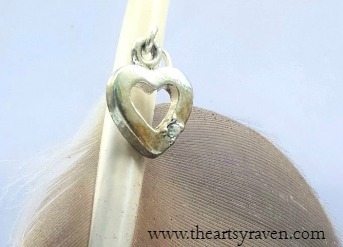 Have you come across strange crafts which has maybe inspired you, have you tried them?